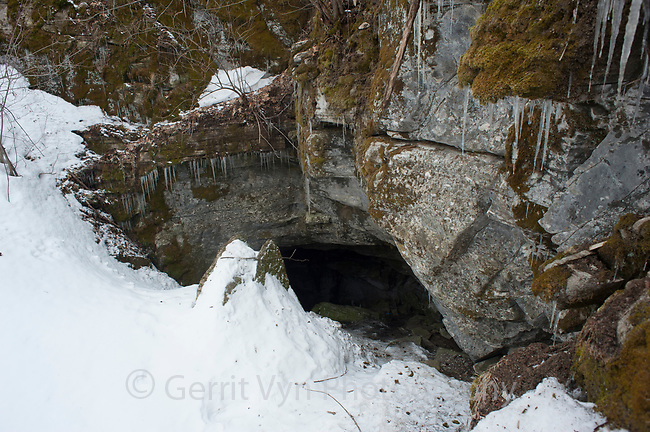 The entrance to Vermont's largest bat hibernacula, Aeolus Cave. White-nose syndrome is decimating the caves bat population. Bennington County, Vermont. March.